…and the open rate of an advert in the cinema. And you’re somewhere near the potential power of Messenger marketing. Actually received any marketing communications via messenger? I’m going to take a wild guess and say that the first two heavily outnumber the third. If you’ve landed on this guide for tips, tricks and the winning strategy we put together for a client (the case study), skip down to the next heading. This section is to bring everybody else up to speed. 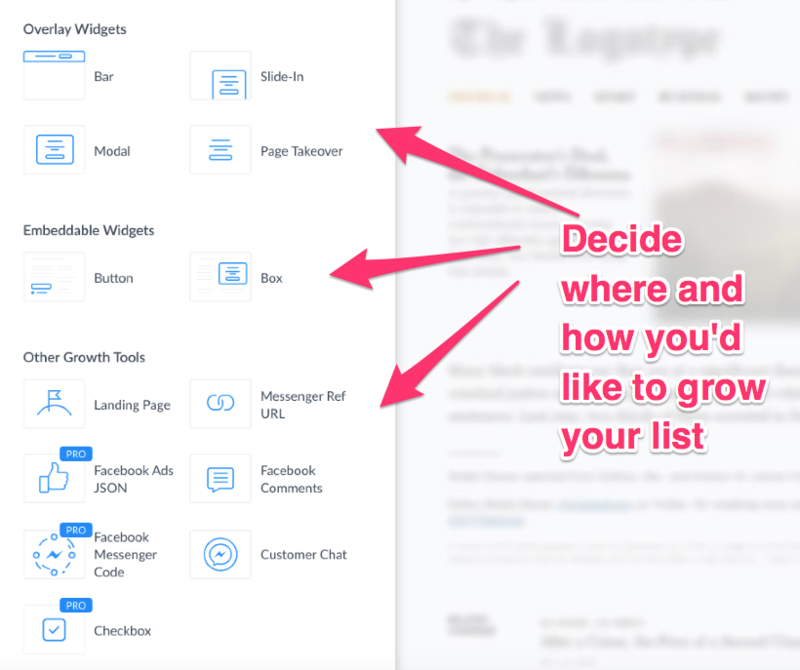 …and grow a messenger marketing list, which can be sent broadcast messages (more on this later). Messenger marketing works by way of an automated chatbot. This AI allows you to create and direct conversations with your audience via a (fake) live-chat. They’re interactive, engaging and take on their own personalities. 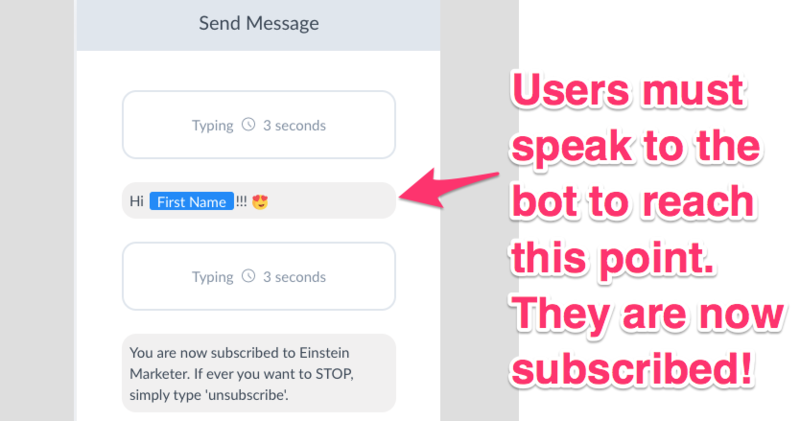 When a bot is set-up it will take your audience through a flow (that should have multiple directions depending on your audience’s needs), that also responds to keywords. A good chatbot can act as both a live customer service agent, salesman and marketer. In addition to this, you can actually sell natively on the platform. This means, you can create a sales funnel within messenger. It’s a real all-in-one platform, and somewhere you should be focussing time and effort to optimise. …it isn’t a replacement for email. Email is still a vital component of marketing, and has a few capabilities that aren’t present in Messenger Marketing. For starters, messenger is more intrusive than email. People are new to the concept of receiving marketing communications via messenger, and if it’s used even as little as once a fortnight, it could end up in mass unsubscribes. Email allows you to contact your list more regularly. As well as this, an email list is (usually) easier to grow than a marketing messenger list, especially if you’re selling online. 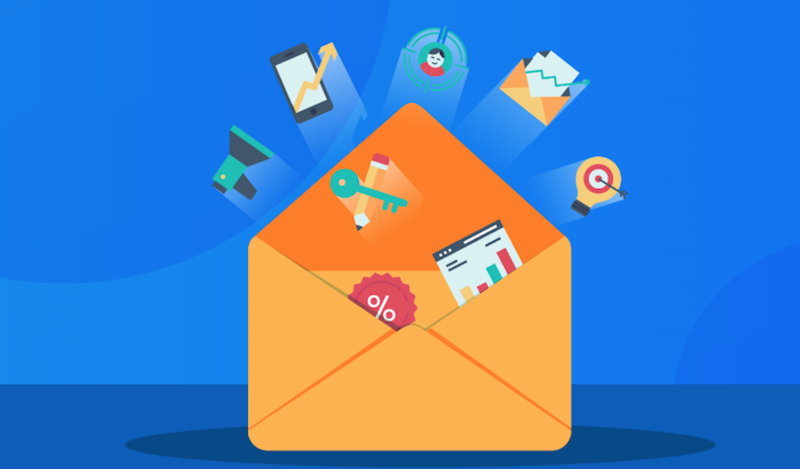 Email is the go-to medium for receipts and official communications, meaning that people are a lot more likely to hand their address over during (and before) the buying process, and in exchange for lead magnets. Facebook Messenger is a different beast altogether. In order for somebody to join your list, they must speak to you on Messenger. You cannot ask them for a contact address (like email), and you cannot capture it from online sales (without a drop-off in conversion). The number of people who want to communicate with businesses via messenger is on the rise. 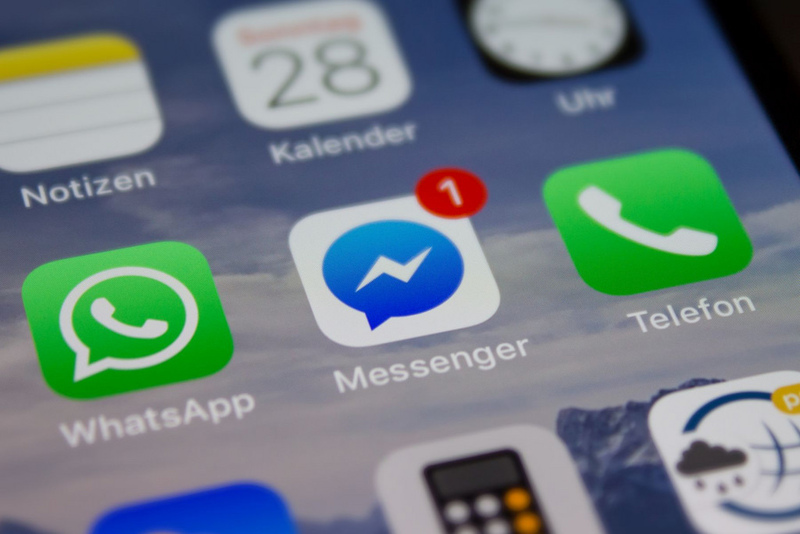 Facebook Messenger is fast becoming recognised as quicker and easier than telephone (there is no HOLD), and it allows a reader to go back over their conversation (meaning they never miss a thing). Messenger Marketing also has crazy-high open and click-through-rates. Don’t be surprised if your first campaign has OR’s in the high 80’s (some of you may even hit the upper 90’s), and your CTR’s are as mind-boggling as 50/60%+. How Can You Grow Your List? Messenger Marketing is worthless unless you have a list. And the only way of getting people on your messenger marketing list, is by them contacting you. If you create or host any form of content, you can embed a hyperlink that takes users straight to messenger chat and your chatbot’s welcome message (which should be primed to initiate a message or action). Create a simple call to action that asks people to send you a message. This can be in-exchange for more information, to ask a question…just about anything, it doesn’t matter, as long as it drives them to your bot. m.me/YOUR FACEBOOK PAGE URL EXTENSION. For example, our Facebook page can be found at www.facebook.com/einsteinmarketer, so, if we wanted to drive you to our bot we’d use the hyperlink m.me/einsteinmarketer. Our m.me/ link is built into the following CTA, check it out (but don’t worry, you don’t need to send us a message unless you want to subscribe) THESE EMBEDDED LINKS REALLY WORK! We use ManyChat to host ours and our clients’ chatbots. Within this service, (and about 95% of other chatbot softwares) you’ll find a tool called ‘Growth Tools’ (or something similar). This feature helps to grow your list by creating calls-to-action and links away from Facebook (as well as increasing your chances of grabbing more messages on Facebook). The external tools are widgets that are easy to place on any site. They come in the form of bars, slide-ins, modals, page takeovers, boxes and buttons. 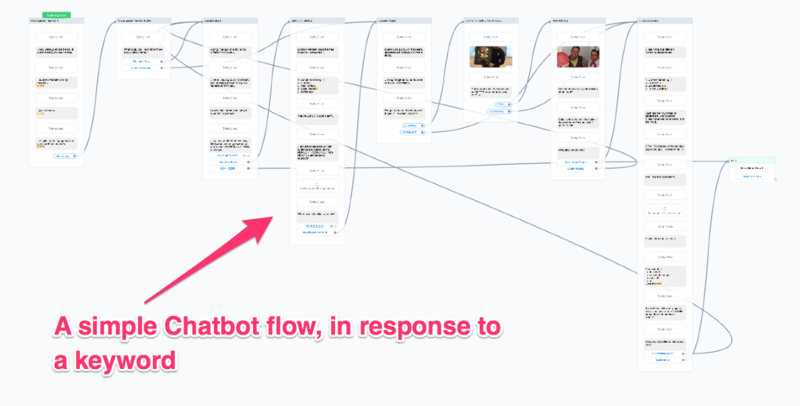 If you’d like to see one in action, check out, The Making of a ChatBot (hint: look at the top of the page). 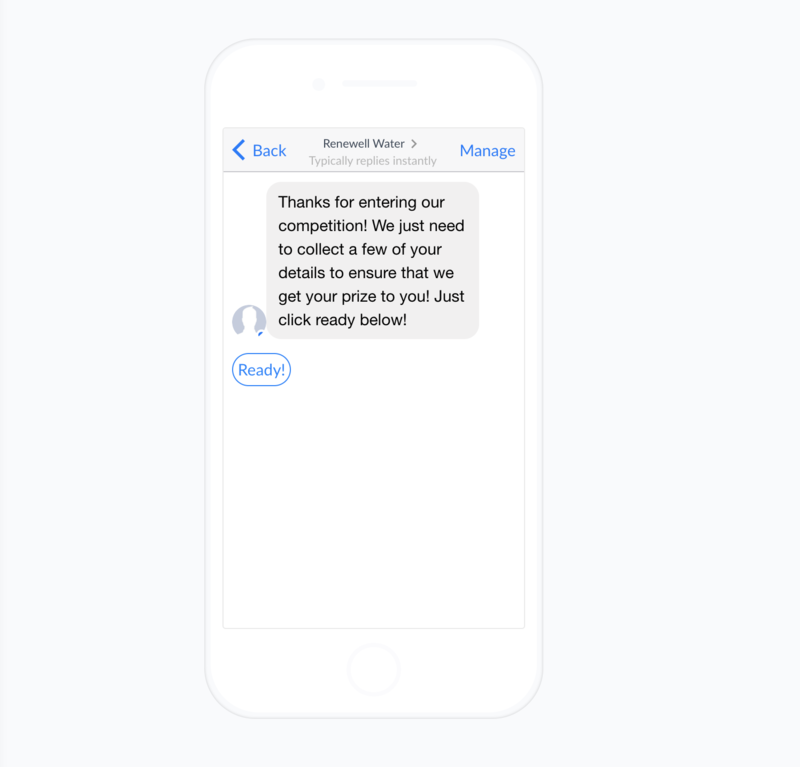 -Customer Chat- Import your chatbot onto your website in the form of a ‘customer chat’ box. Many of you will have seen this already, but won’t have realised that anybody who speaks to these ‘customer chat’ boxes, automatically becomes subscribed to their messenger marketing list. -Facebook Comments- add this feature to certain posts, so whenever somebody comments (on that particular post), a live chat is instantly opened. If your initial message is engaging and encourages a customer response, your list can grow rapidly. -Landing Page- ManyChat also host landing pages, so there’s no need to build, design or develop a webpage. This is particularly useful for businesses who don’t have websites yet. Facebook allow you to configure ads that drive users straight to Messenger. 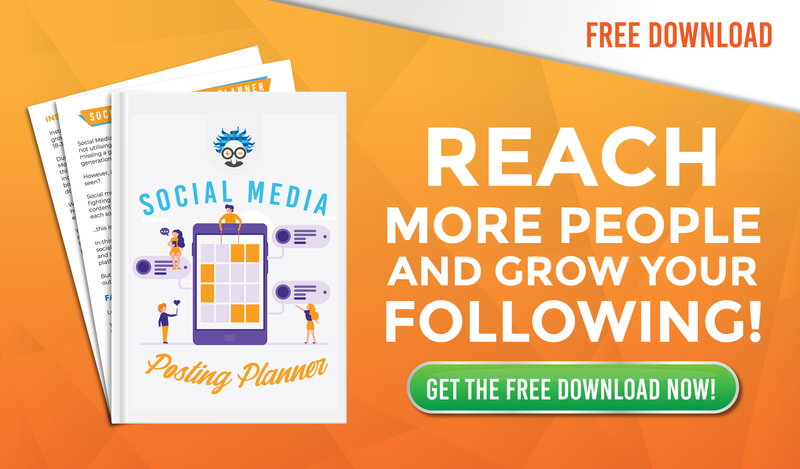 When done correctly, this is the most effective way of growing your list. 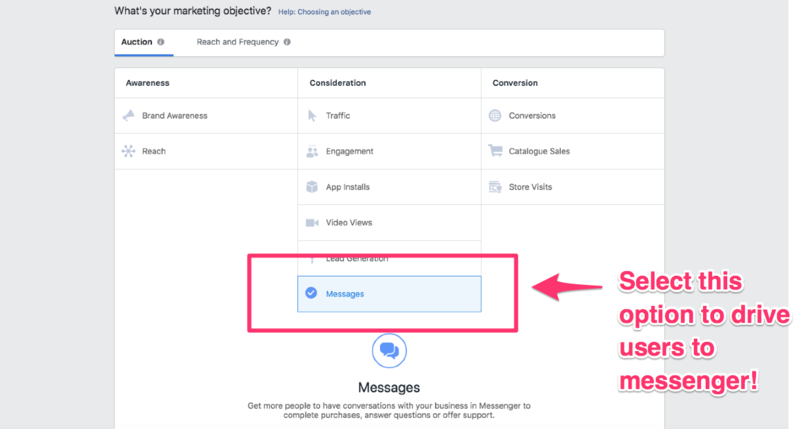 Simply choose the ‘Messages’ objective when setting up your ads in Facebook Business Manager. Anybody who clicks on your CTA (when you use this objective), will be sent instantly to chat. If you haven’t set-up Facebook Business Manager yet, and are making the cardinal sin of hitting the ‘Boost Post’ button, follow these 5 Steps. When you know how to create ads that drive people to messenger, you need to think about what you could do to make somebody speak to you first! Could you offer a discount code to anybody who solves (a pretty easy) puzzle? Perhaps you could send out discount codes in response to certain keywords? Maybe you could offer a valuable lead magnet within messenger? Whatever you choose to do, make sure you don’t instantly give them the desired results! They must communicate with you, either by typing a message or clicking a menu option. 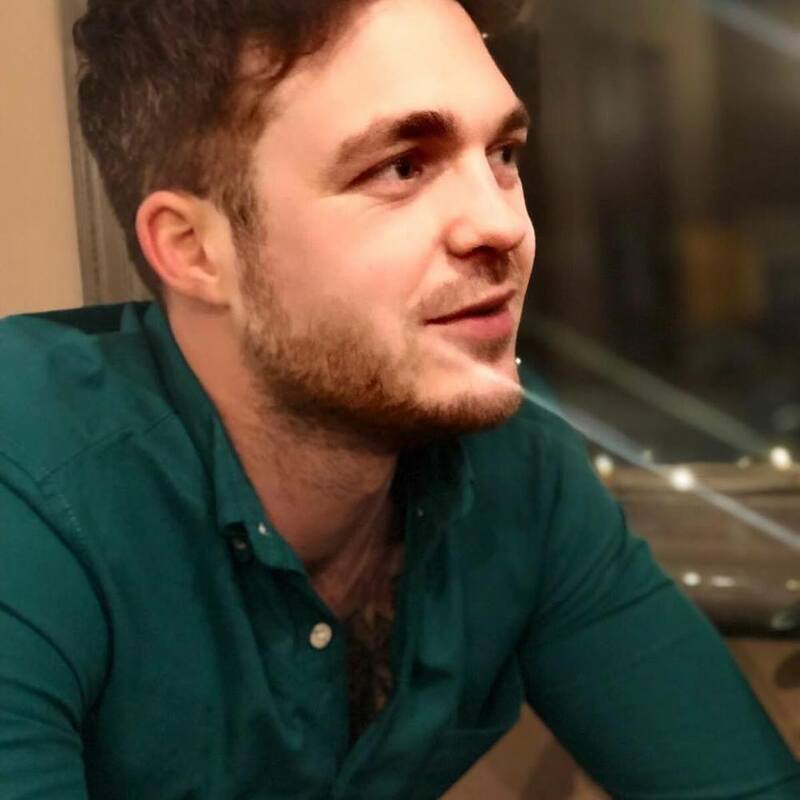 Before we move onto the case study (that I know you’re all gagging to copy and implement), I need to talk about growth from another perspective. 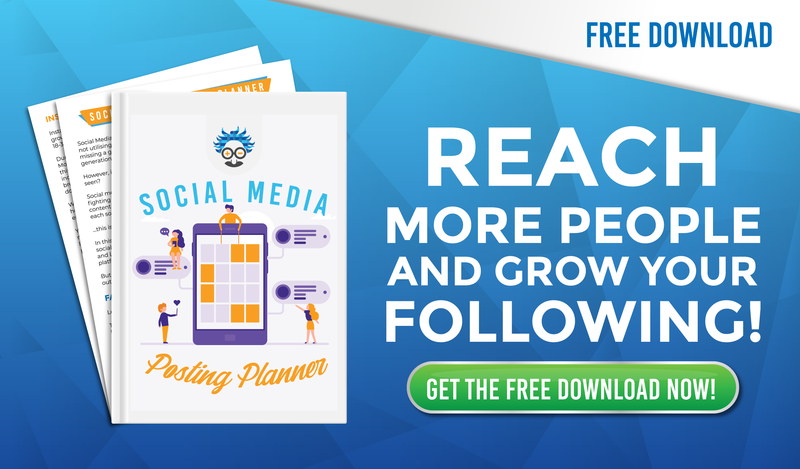 The fastest and easiest way to grow your list is to retain as many existing users as possible and add to them. Constantly generating new users for your list (just to replace unsubscribers) will be an extremely costly and time consuming task. Facebook have made it incredibly easy for people to unsubscribe, so the last thing you want to do is annoy your list (all they have to do is type unsubscribe, or stop). As I mentioned earlier, messenger marketing is often seen as intrusive and if you overdo your broadcasts, you’ll lose the majority of your list. It’s important that you offer VALUE in every broadcast and don’t send too many messages. In other words, only broadcast a message if it’s actually worth it. Sending your list a message every week might sound great (especially with Messenger’s crazy-high open rates) , but it will actually cost you a lot in future marketing. Nourish and nurture your messenger list. Do not treat them like your email marketing list. The guide (above) will put you in a strong position, but by coupling that knowledge with a winning campaign (like the case study below), you’ll have the power to use Messenger to explosive effects. A client approached us with a problem, they were holding excess stock of their water filter product. These filters are fitted to taps to ensure all running water is purified. Our client wasn’t marketing or selling this product at all, in fact, they were just laying around in storage. And to top it all off, they hadn’t ever used messenger as a marketing medium. So, we developed a messenger strategy that would grow their list, build awareness and collect leads for their sales team. 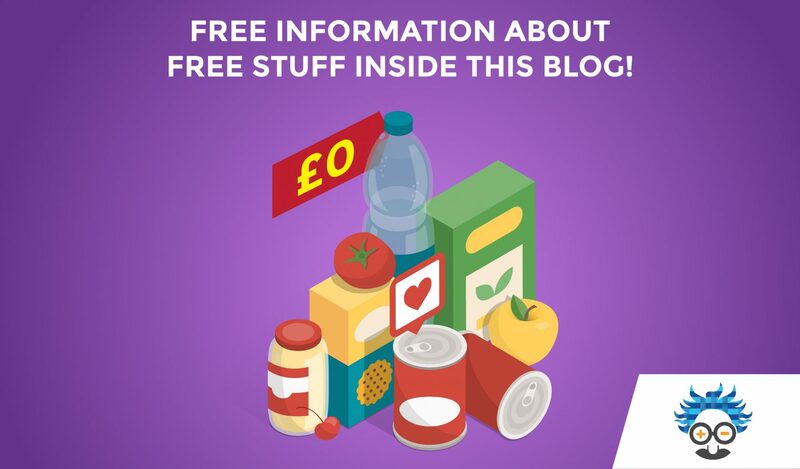 As our client had a relatively small following on social, we decided to run ads. We created a competition for FREE water filters. 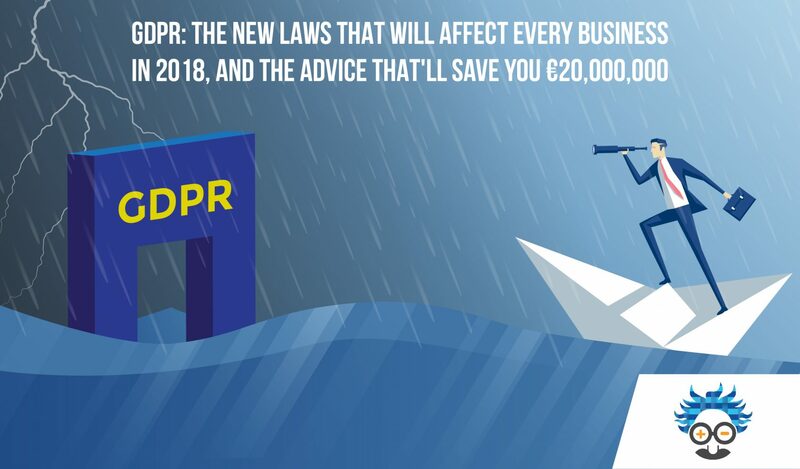 This generated lots of interest and was really simple for people to enter, all they’d have to do is speak to our client’s bot, and they’d be in with a chance. Our ads were set up with the ‘Messages’ objective, meaning that anybody with interest would be taken straight to Messenger. …but, we could do better than that, we could use the competition to collect more information. So, we captured the email and telephone numbers from everybody who entered. ManyChat can bet set-up to read the email and telephone number of anybody who speaks to it, (via their Facebook profile information), this saves them having to type it in the box, all they have to do is confirm that they’d like to share it. When the competition deadline came around, we picked our winners and sent them the good news via email and Messenger. 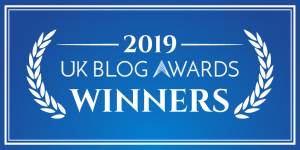 …so, we sent EVERYBODY who entered a runners-up message. 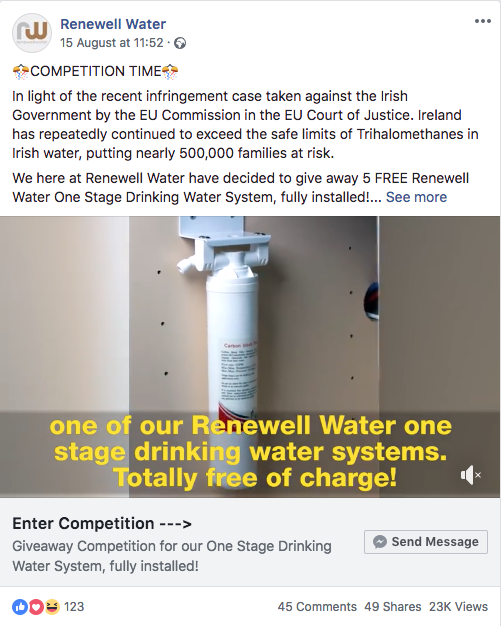 It said that we were offering 5 water filters at a discounted price, and that this deal was only available to people who had entered the competition (a consolation prize). …all within the space of 1 hour. Direct from this message we sold 12 more filters. We had tons of leads for our client’s sales team! Our Messenger campaign had handed them the email and telephone numbers of hot leads (these were people who wanted their product!) and from this, they were able to generate new business. Messenger Marketing has been around for a little while now, but still, many of you have yet to adopt it as a serious communication/marketing medium. The technology is scalable, automated, cheap and works 24/7. Why wouldn’t you want it? 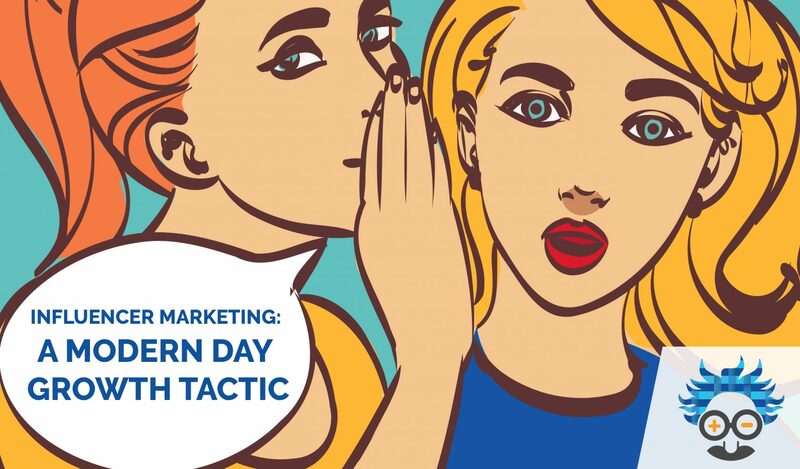 Combine the tips from our guide with the strategy in our case study, and you’ll see just how powerful messenger marketing can be. What do you think about messenger marketing? Have you already built a bot? What are you doing to grow your list? Leave a comment, we’d love to hear your opinion!